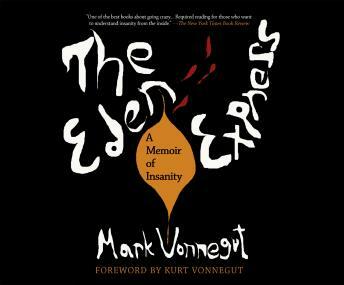 Mark Vonnegut set out in search of Eden with his VW bug, his girlfriend, his dog, and his ideals, but genetic predisposition and a whole lot of **** going down made him crazy in a culture that told him mental illness is a myth and schizophrenia is a sane response to an insane society. Describing his experiences during the late '60s and early '70s, Eden Express reveals how Mark went from being a recent college grad who was in love and living communally on a farm-with a famous, doting father, a cherished dog, and a prized jalopy-to having nervous breakdowns and then, eventually, emerging from them to write this book and to find the meaningful life that had-for a while-seemed out of reach. But the real story here is that, throughout his harrowing experience, Mark's sense of humor let him see the humanity in what he was going through and that his gift for language let him describe it in such a way that others could begin to imagine its utter ordinariness as well as the madness that we all share.